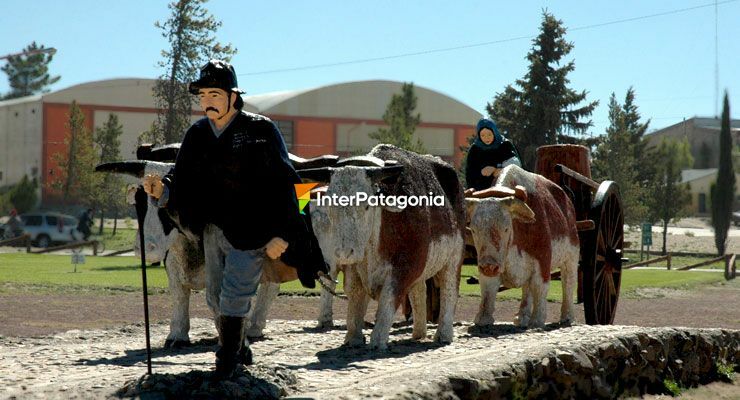 In the centre of the province of Neuquén, 1012 m. above sea level, with the background of Chachil range, you arrive at the provincial capital and there you can choose from the different options that Zapala presents. You may have already met the difference between the vigorous green of the Alto Valle and the transition to the Patagonian steppe that completely changes the view. At your income to Patagonian nature, you have the basaltic plateau with its sparse dry vegetation and its scarse water courses forming the gateway to the Andean range and its magnificent images. Its height above sea level will provide a suplementary experience as regards the weather, which is dry, continental, windy and cold, according to the season. The name Zapala seems to originate in the aboriginal term “Chapala”, formed by the prefix “Chapa”, which means swamp or mud, and “lau”: , the short form for Lauquen. It would then mean muddy lagoon. But according to others the origin is "trapal", a bulrush that grows in Zapala stream. According to Juan Benigar, "Chapad" "La" also sounds "Chapa La", "Chapad", mud, swamp, "La", dead, i.e. "the swamped dead one".